In Stores This Week: Alice, Dr. Strange, Mallrats & More! A Diamond Select Toys release! 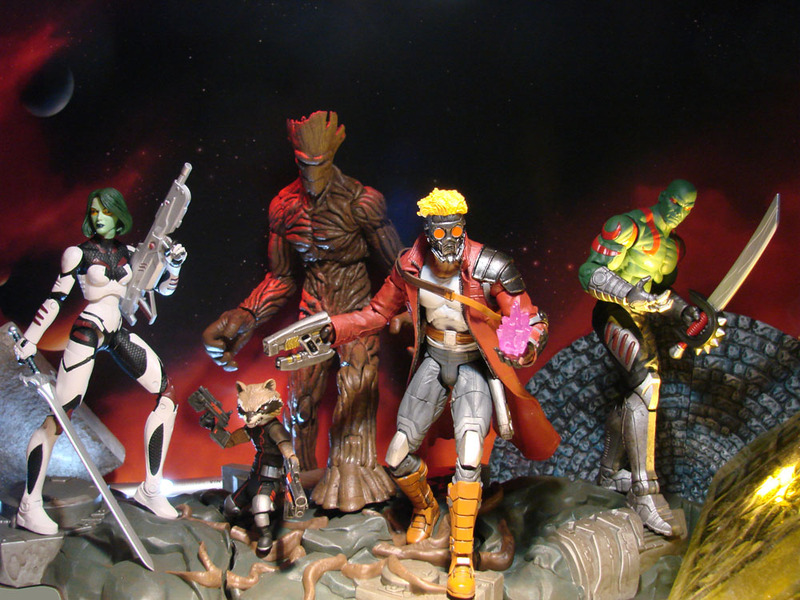 Gallery figures just went through the looking glass! Based on the new big-screen sequel to Alice in Wonderland, Alice Kingsleigh and the Mad Hatter are now featured in the hot new Gallery figure line from DST, capturing heroes and heroines from the world of pop culture as 9-inch scale PVC statues! 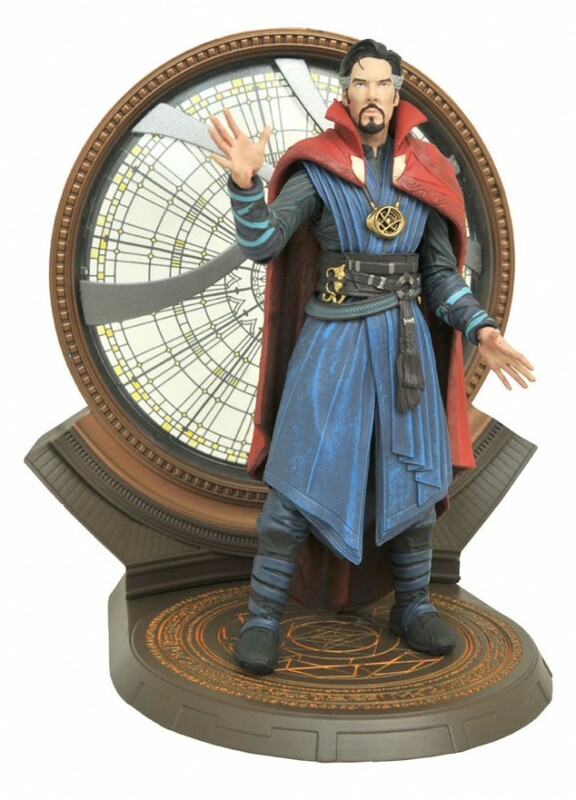 Each 9-inch figure features high-quality paint applications, and each stands atop a sculpted base made out of clock gears – interlock the two bases to form one combined diorama! Each figure comes packaged in a full-color window box. Sculpted by Gentle Giant Studios! Alice Through the Looking Glass Select Action Figures Series 1 Asst. A Diamond Select Toys Release! 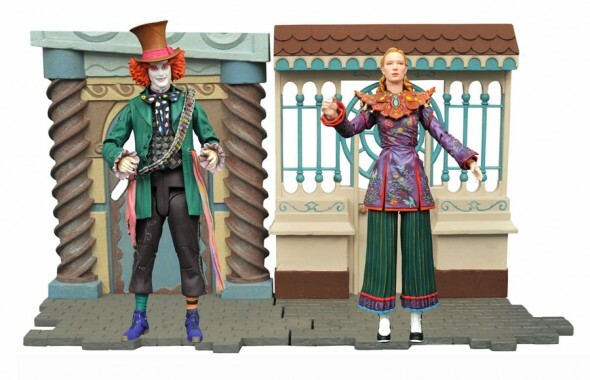 For the first time ever, DST is offering fully poseable 7” scale action figures based on an Alice in Wonderland movie! 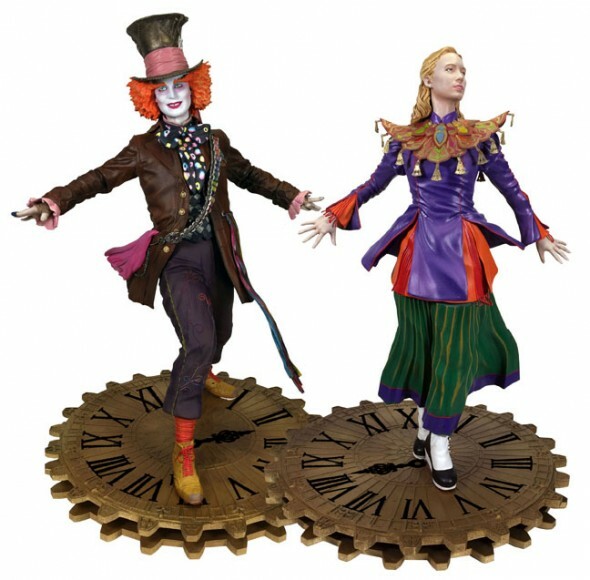 These 7-inch figures of Alice Kingsleigh and the young Mad Hatter, based on their appearances in Alice Through the Looking Glass, feature the likenesses of Mia Wasikowska and Johnny Depp, and have up to 16 points of articulation. Each comes with a diorama background depicting a building from Wonderland – connect the bases to build a larger town! Figures are individually packaged in the display-ready Select packaging, with spine artwork for shelf reference. Sculpted by Gentle Giant Studios! A Diamond Select Toys release! When a Minimate set gets this big, it can only be called Deluxe! The Aliens Deluxe Minimates line continues with a third Deluxe release, the Alien Space Jockey, as seen in the 1979 film that started it all! This Minimates-style diorama piece measures over 4 inches tall and comes with an exclusive 2” Minimates mini-figure of Nostromo crew member Kane, wearing his environmental suit with melted face plate, plus multiple alien eggs. Kane is fully poseable with 14 points of articulation, a removable helmet and interchangeable parts, including a facehugger alien! Fully compatible with all Alien and Predator Minimates. Packaged on a full-color blister card. (Item #OCT162586, SRP: $14.99) Mallrats Select Action Figures Series 2 Asst. A Diamond Select Toys release! They’re not here to shop, they’re not here to work, they’re just here! 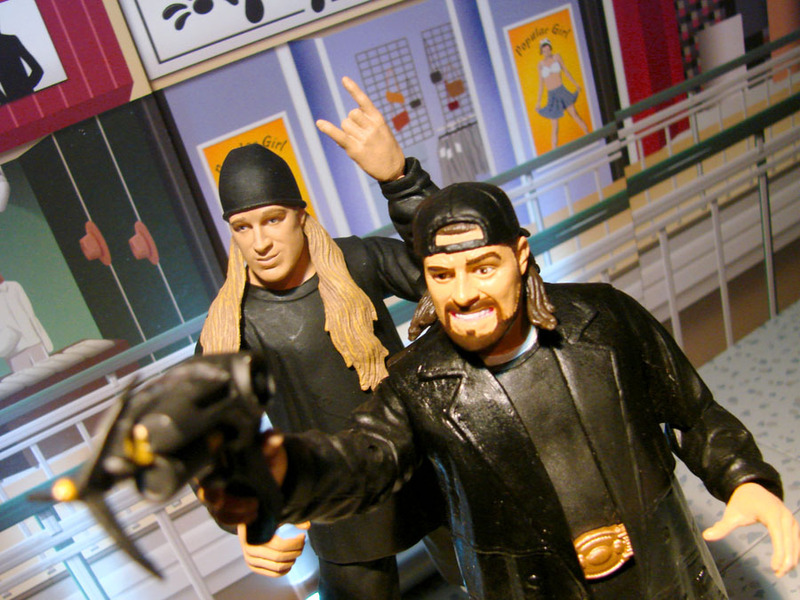 Finally, after 22 years, fully poseable action figures of the cast of Kevin Smith’s sophomore(ic) masterpiece Mallrats have arrived! 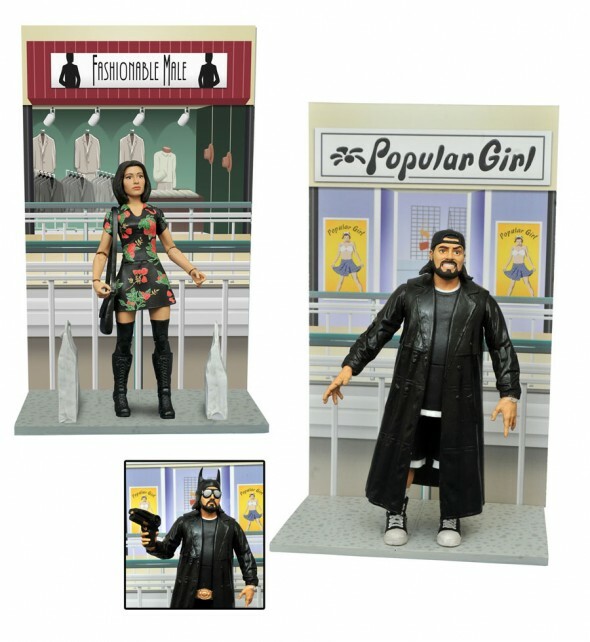 Joining the previously offered Jay and Brody, Silent Bob and Renee are in Series 2, each with character-specific accessories – grappling gun, utility belt and alternate head for Bob; shopping bag, purse and video tape for Renee – as well as diorama bases depicting different stores in the mall, Popular Girl for Bob and Fashionable Male for Renee! 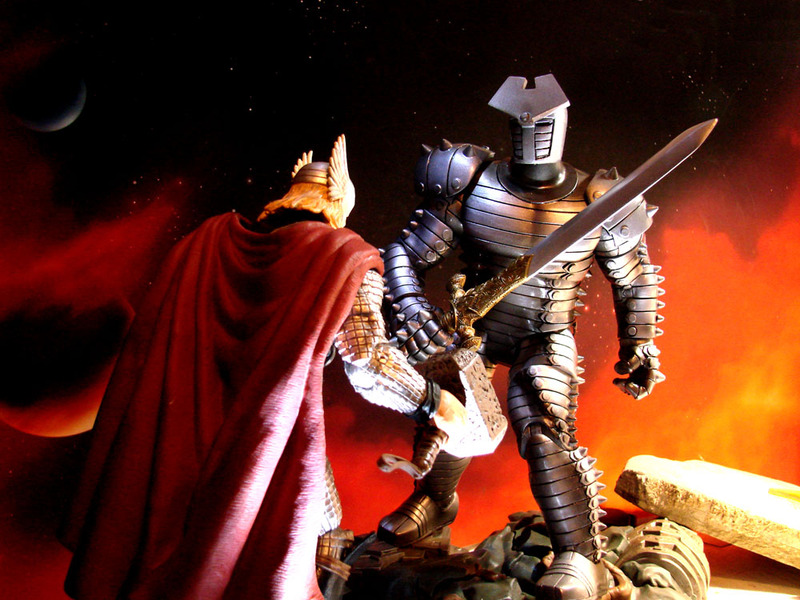 Each figure features approximately 16 points of articulation and the actor’s likeness. Packaged in display-ready Select packaging, with spine artwork for shelf reference. Sculpted by Patrick Piggott! Find your nearest comic shop at comicshoplocator.com! 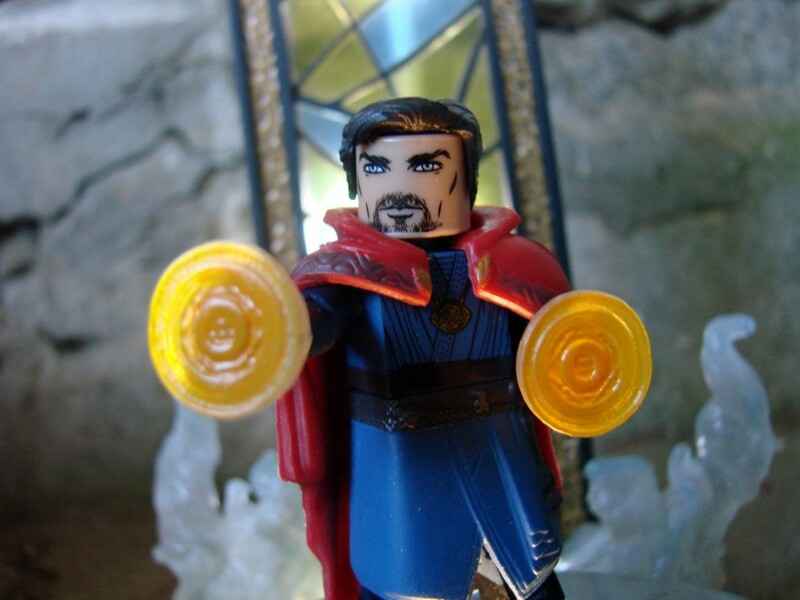 In Stores This Week: Alice Through the Looking Glass and Doctor Strange! In Stores This Week: Alice & NBX Minimates, Joker & Superman PVCs and More! 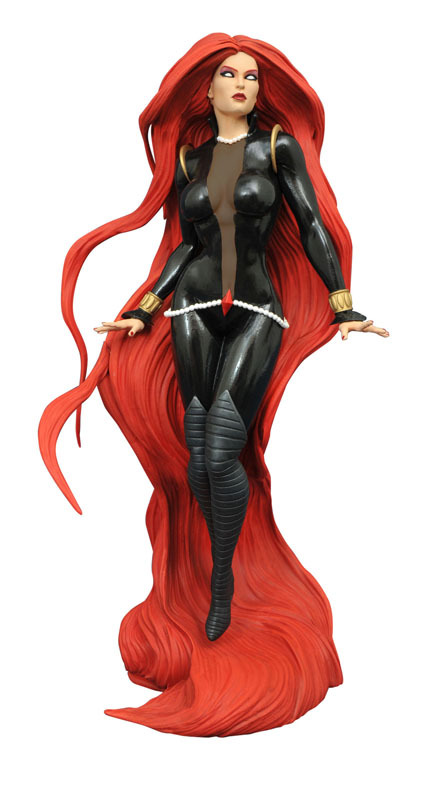 In Stores Now: Marvel, Mallrats, Black Canary & Beetlejuice! 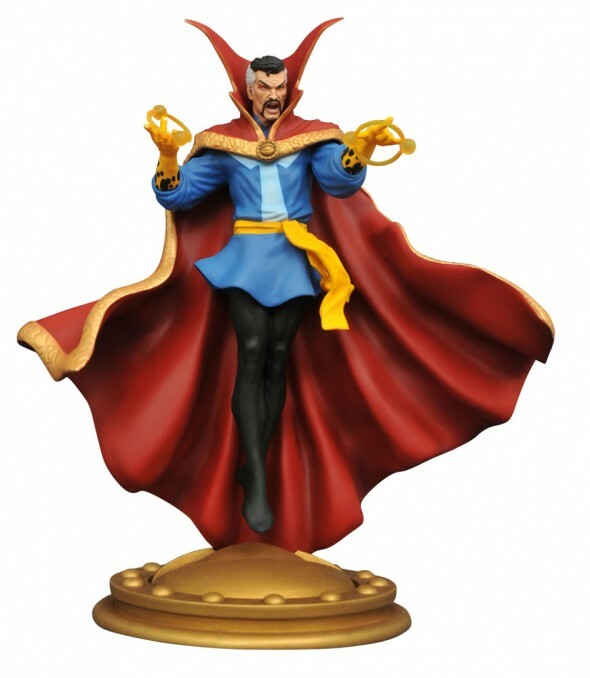 Comic-Con Sneak Peek: Harley Quinn, Doctor Strange and The Muppets! In Stores This Week: Hulk, Walking Dead, Alice, Street Fighter X Tekken and Captain America! In Stores This Week: Batman, Captain America, Muppets & TMNT!